Coconut milk to the rescue! It is not only delicious, but may also be the key to improving your health. Coconut milk is an interesting milk alternative, considering it is dairy-free, lactose-free, soy-free, nut-free, grain-free and most importantly, way easier to digest than traditional milk! Although coconut milk is a high calorie drink, it is made from Medium Chain Saturated Fats (MCT’s), which are easily absorbed fatty acids that are proven to provide several health benefits. Don’t believe us? Keep reading to find out what this milk substitute has to offer! Vitamin-Rich. Getting in all your essential minerals can be overwhelming. With just a ½ or ¼ cup of coconut milk your body will be enriched with Vitamins C, E and B. Vitamins C and E work to improve your immune system, while vitamin B provides energy. Not only do you get your daily dose of vitamins in, but it is also enriched with potassium, phosphorous, iron and magnesium. These minerals may work to keep your nerve cells, heart, kidneys and brain working to the best of their abilities! Weight-loss Aid. 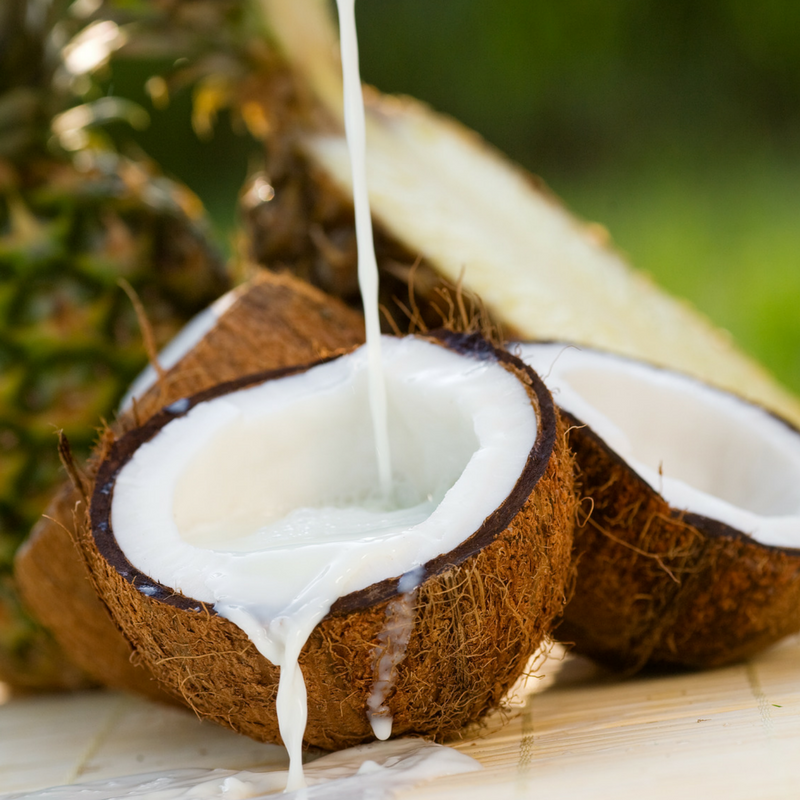 Despite being a high-calorie food, coconut milk may be an aid to weight-loss. Drinking this filling milk alternative can help with cravings and snacking throughout the day. It may also help burn fat quicker, in addition to its appetite suppressing powers. Produces electrolytes. The MCT’s within coconut milk are used to fuel your brain! Your brain energizes and receives electrolytes through the MCT’s inside the coconut milk. Electrolytes are key to boosting physical performance and preventing tiredness and may even help repair broken tissue. Drinking some coconut milk may help to prevent the feeling of fatigue throughout the day! Coconut Milk can be incorporated into your healthy lifestyle in many different ways. Add it to your cup of coffee in the morning to give it the extra sweetness that it needs, while filling your body with nutrients. It can also be used to replace regular whole milk in smoothies or protein shakes. If you are looking to get even more of this milk alternative in your daily routine, use it as a facial cleanser or have a coconut bath! It is packed with soothing and nutritional ingredients that will help your body in many different ways! This entry was posted in Articles, Family Health, Health for Men, Health for Women, Health Tips, Healthy Living, Vegan Lifestyle, Weight Loss and Dieting and tagged coconut milk, health, Health for Men, Health Tips, healthy, healthy lifestyle, milk alternatives, milk substitutes, Naturade, naturadelife, nutrition, Vegan, vegan milk, weightloss.